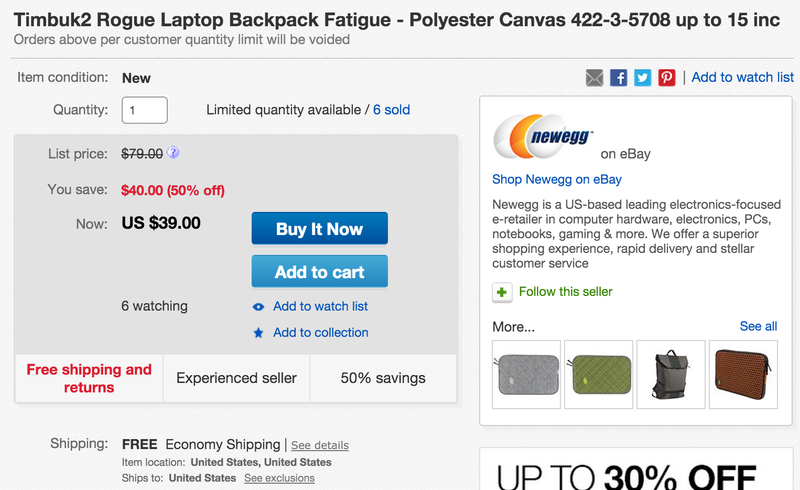 Newegg via eBay offers the Timbuk2 Rogue Laptop Backpack for $39 shipped. Today’s deal is $40 off the original price, $32 better than Amazon and the lowest offering we can find. This military-inspired backpack has a slim design and clean profile on the outside. There is padded laptop and tablet storage on the inside, compartments for cables, pens and other accessories, as well as attachments for U-locks or carabiners. The Rogue Laptop Backpack supports devices up to 15-inches in size. Amazon users have given this bag a 4.5/5 star rating.